Southeast Asia Travel - Where to Go? You've got a lot of places from which to choose to enjoy Southeast Asia travel. Use this list of countries in Southeast Asia and trip-planning resources for each destination. Get step-by-step help for planning a trip to Asia. Bangkok became the world's most visited city in 2013, and Thailand reigns as the most popular destination for both short-term and long-term travelers in Southeast Asia. Thailand is ridiculously easy to travel and the tourism infrastructure is excellent. With a friendly culture, great food, and a good mix of both cultural destinations and islands, it's easy to see why Thailand is the first place that many people enter to begin exploring Southeast Asia. Once home to the powerful Khmer empire, Cambodia is still recovering from the damage caused by various wars over the centuries. Despite rampant poverty, Cambodians welcome travelers with open arms and remain optimistic about their future. The ancient ruins of Angkor Wat and the surrounding temples are one of the most famous UNESCO World Heritage Sites in all of Southeast Asia. Millions of visitors travel to Siem Reap to see the ruins, however, the rest of the country is well worth exploring as well. Much like Cambodia, landlocked Laos is still recovering from wars in the past and remains extremely poor but friendly. Travelers can enjoy gorgeous mountain views, plenty of opportunities for outdoor adventure, as well as good food and coffee left behind by the French. The entire town of Luang Prabang was declared a UNESCO World Heritage City; the pleasant atmosphere along the Mekong is relaxed and peaceful. Vietnam is a favorite for many travelers in Southeast Asia, both for the unique atmosphere and unmistakable difference between north and south. The road from Ho Chi Minh City (Saigon) to Hanoi is lined with interesting stops, beaches, war history sites, and places to see. Travelers to Malaysia get to enjoy Malay, Chinese, and Indian culture all in one place. You'll never run out of interesting food options to try and can experience different festivals for the many ethnic and religious groups. Malaysia is blessed with an excellent travel infrastructure, a thriving capital, and plenty of islands for getting away from it all. Malaysian Borneo, a cheap flight away, is a romantic, natural paradise with plenty of potential for adventure. Massive Indonesia has the world's fourth-largest population spread across an archipelago of more than 17,000 islands! While a bulk of visitors to Indonesia only end up in Bali, the rest of the country offers beautiful islands, volcanoes, and a very diverse mix of cultures and ethnic groups. Sumatra is the place to see wild orangutans and lounge on an island in the center of Lake Toba -- the world's largest volcanic lake. Only recently more open to tourism, Burma is considered a time capsule in Southeast Asia with plenty of authentic experiences waiting to be enjoyed. Not yet mutated by mass tourism, Burma still offers a genuine experience and the people are extremely friendly to outsiders. Travelers to Burma can see thousands of temples, surreal landscapes, and walk through the world's largest book! Tiny Singapore is a city, country, and island all at once. Despite the size, the nation thrives and has one of the strongest economies in the world, even boasting the highest number of millionaires per capita. Singapore is also infamous as being one of the most expensive destinations to visit in Southeast Asia. Like Malaysia, Singapore is an exciting mix of local, Malay, Chinese, and Indian influence. World-class shopping, eating, museums, and high-rise buildings are only the start: Singapore has plenty of green space with walking and biking trails as well as a beautiful waterfront. The Philippines is spread over more than 7,000 islands and is the largest Christian country in Southeast Asia as well as the third-largest Catholic nation in the world, giving it a completely different feel than neighboring countries. Lots of Western influence, mainly Spanish and American, is apparent in the Philippines, however, the people have adopted their own unique and enjoyable blend of language and culture. You'll never run out of choices for islands in the Philippines. Some islands such as Boracay are extremely popular and touristy while others go without electricity; all are beautiful. The tiny country of Brunei separates the Malaysian states of Sarawak and Sabah on the island of Borneo. An anomaly, Brunei is rich and beautiful, yet receives very little tourism. The generally happy people in Brunei don't pay income tax, receive free health care, and enjoy a relatively higher standard of living thanks to the country's rich oil reserves. The Sultan of Brunei is one of the richest people in the world. Brunei is the most observant Islamic country in Southeast Asia. 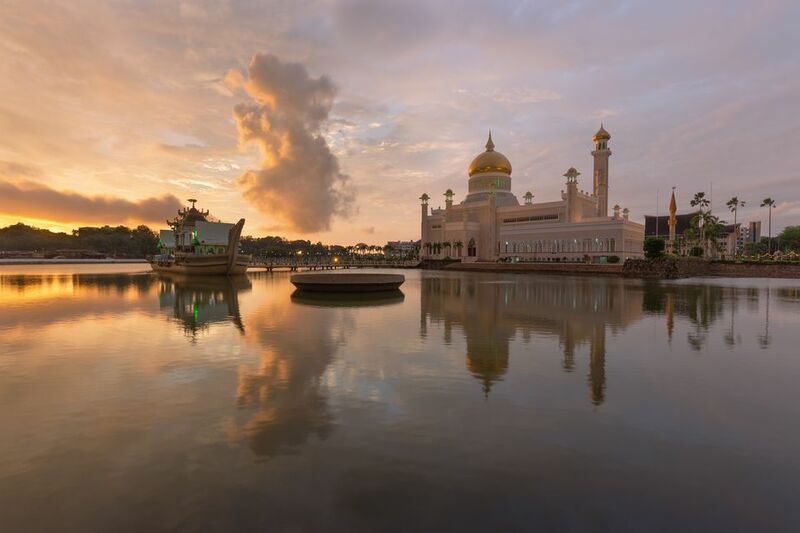 While typically just a stopover for people passing between states in Malaysian Borneo, Brunei is friendly and beautiful enough to be a worthwhile destination. Note: For now, East Timor isn't covered, but that will change soon as recovery continues and a nation is rebuilt. When I was there, tourism had only a fragile foothold on the beautiful destination.